Lock in a great price for Hotel Claude Marbella - rated 9.3 by recent guests. Architecture of building was beautiful, lovely roof terrace and superb location, within beautiful surroundings of the old town, minutes from the beach . Loved the fresh flowers too. The location worked well for us, as a base for exploring the region on our first trip to the Costa del Sol, and the hotel itself was great fun. Absolutely beautifully restored with great care and attention. We also loved the breakfast - thank heavens there was no heaving buffet in sight - just simple, gorgeous food in a lovely little room. We also enjoyed stepping out every evening to try the different restaurants in the old town - right on the doorstep. And the staff were very professional; helpful, informative and friendly but never intrusive. Location excellent. Owner and staff very friendly and helpful. The hotel is in a unique location, very close to the famous Orange Square. 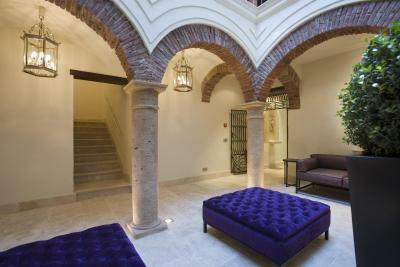 It is a small boutique hotel with 7 rooms only, each of them designed individually. There are many decorative details in this hotel. The roof terrace is lovely on a sunny day. The staff is very welcoming and helpful. The breakfast is excellent with fresh croissants. 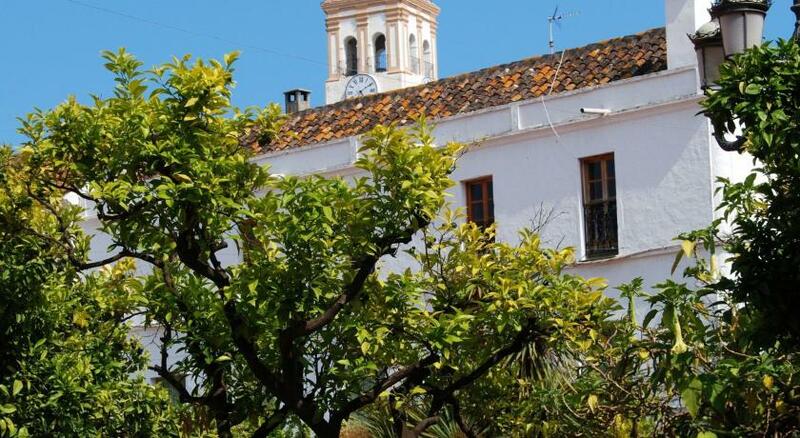 Hotel Claude Marbella is a restored 17th-century building 150 yards from Marbella’s Plaza de los Naranjos. The elegant rooms have an iPod dock, 32-inch flat-screen TV and free Wi-Fi. Rooms at this luxury boutique hotel all include terracotta floors, sandstone baths and fine fabrics. All have a different theme, exclusive furniture and a bathroom with Molton Brown toiletries, a bathrobe and slippers. Hotel Claude Marbella's restaurant offers breakfast, tapas and Mediterranean snacks. Dinner can be reserved in advance. Meals are served in the beautiful black and white dining room, and there is also 24-hour room service. A car rental, ticket service and tour desk is available at the 24-hour front desk at Hotel Claude Marbella. The hotel is a 5-minute walk from the beach, only 150 yards from the Bonsai Museum. Hotel Claude Marbella has been welcoming Booking.com guests since 18 Mar 2010. When would you like to stay at Hotel Claude Marbella? Private parking is possible at a location nearby (reservation is not needed) and costs EUR 18 per day. Hotel Claude Marbella, is a charming 7-bedroom boutique hotel set in a historic building from the 17th century, right in the heart of Marbella´s charming old town. Hotel Claude provides a taste of "the old Spain", both cultural and architecturally, with a modern touch when it comes to interior design. The attention to detail and personal touches (like fresh fruit and mineral water on arrival ) make this little hotel truly unique. House rules Hotel Claude Marbella takes special requests - add in the next step! Hotel Claude Marbella accepts these cards and reserves the right to temporarily hold an amount prior to arrival. No parking but there is public parking near by under 5 min walk. Very small boutique hotel with personalized service. Only 7 rooms beautifully decorated. It is minutes away from the beach and very good restaurants. Friendly staff! Excellent beakfast cooked to order. Nice roof terrace that we could not take advantage of as it was a bit too cold outside. I am always on the look out for small hotels that are hidden gems and that is exactly what I found in Boutique Hotel Claude Marbella. The property is a lovely restored townhouse in the historic district with seven guestrooms. It seems that no expense was spared in the tasteful renovation or any detail overlooked. It has an excellent location that is easily walkable to the historic sites, shops, restaurants, and the beach. Compared to other beautiful hotels in the area, it is a great value for the money. The staff provides the level of personal service that we all love from a small boutique hotel. The staff was fantastic, Franz and Desere were very nice and very helpful. The breakfast on the roof deck was wonderful. The room was very nice with the wood vaulted ceiling. The location was good, difficult to drive to, best park and walk to the hotel.